This post is sponsored by BabbleBoxx.com. All opinions are my own. 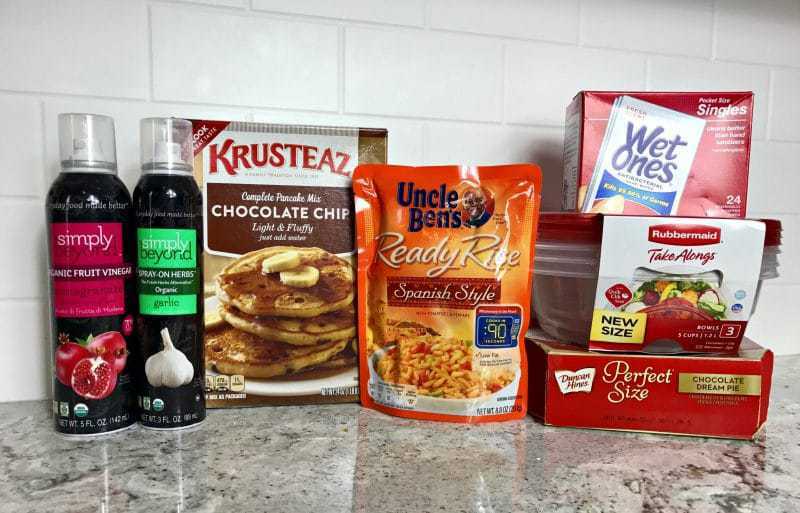 Today I am sharing my favorite food hacks, shortcuts and mealtime solutions for busy moms. Mom life is hectic, and these tips are a lifesaver. As a new mom, it seems that I am busy non-stop. That is why I am always looking for creative ways to save time in the kitchen. Because the quicker I get meals out on the table, the more time I have to spend with my family. Who has time to wash and cut fruit in the morning? Washing and cutting fruit as soon as you unpack your groceries is the way to go. Then you have no excuse not to grab some fruit to accompany breakfast or throughout the day for a healthy snack. Who wants to mess with cracking eggs first thing in the morning? 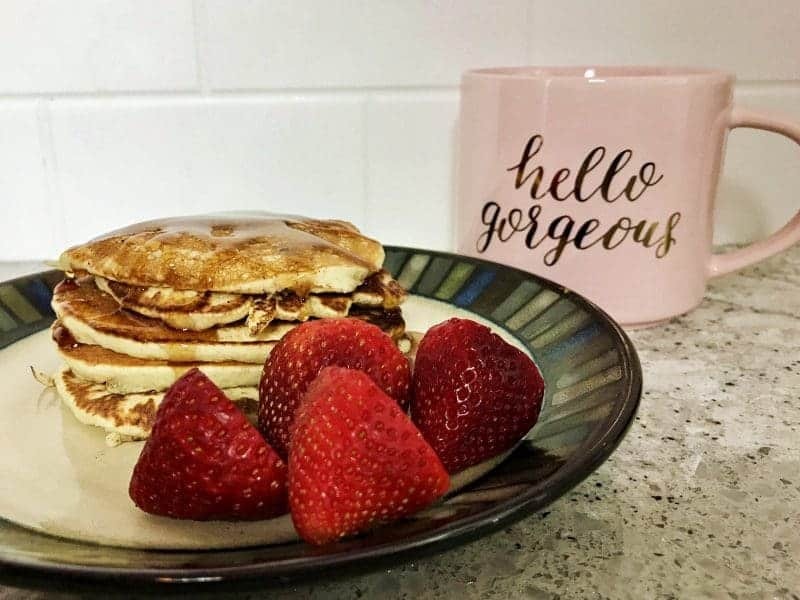 For a hot breakfast in a snap, use a complete pancake mix such as delicious Krusteaz Complete Pancake Mixes. Don't forget the syrup! Pro Tip: Use cookie cutters to make pancakes in fun shapes! 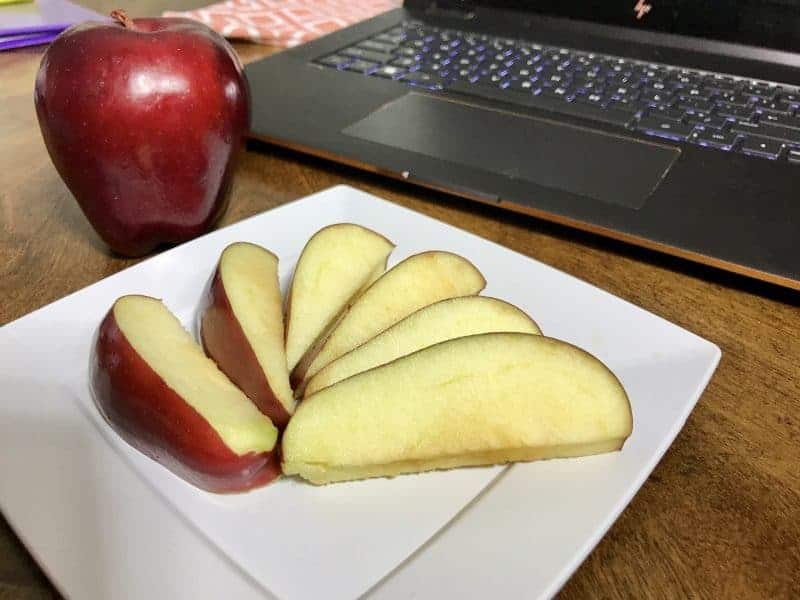 Whether you are packing a baggies of apple slices for you or for the kiddies, one thing is for certain: you don't want them to turn brown before lunchtime! Don't worry, I got an awesome food hack for you. To prevent apple slices from browning soak them in a solution of 1/2 teaspoon salt and 1 cup water for about 10 minutes. Then, just give them a quick rinse to remove the salty taste before packing them up. When eating on the go you don't always have access to soap and water. That is why I keep Wet Ones on hand for quick and easy hand cleaning. Wet Ones Antibacterial Hand Wipes kill 99.99% of germs and are hypoallergenic and gentle on skin. Their convenient singles pack featuring individually wrapped wipes are perfect to keep in your purse or desk drawer. 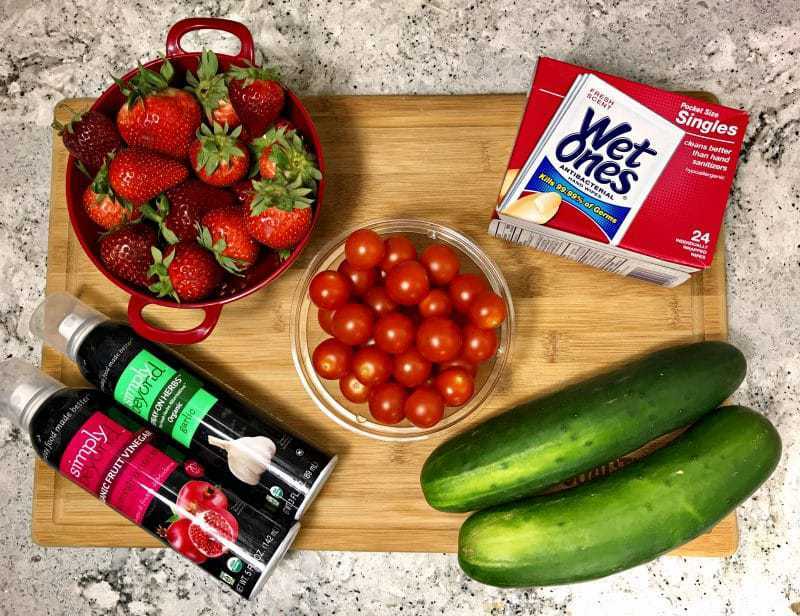 Just like prepping fruit helps you to add fruit to your breakfast and lunch, prepping your veggies ahead of time helps make throwing together salads as easy as can be. 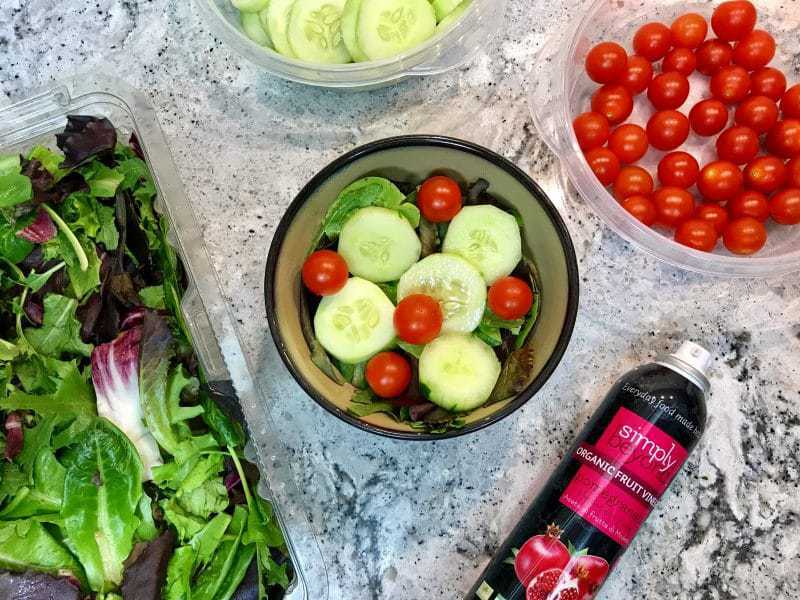 Just grab some lettuce, onion, cucumber, and tomatoes from each container, spritz with some Simply Beyond Fruit Vinegar, and your salad is ready to serve. I love spritzing delicious Simply Beyond Pomegranate Organic Fruit Vinegar on my salad instead of adding dressing! Simply Beyond Organic Fruit Vinegars mix the perfect amount of vinegar with just a touch of fruit juice to create delicious flavors that pair well with everything from salads to steaks. Just a spray adds a bit of excitement to any meal. Money-saving offer: Use code “babblebox10” on simplybeyondfoods.com to get 10% off your order through 11/30/17. 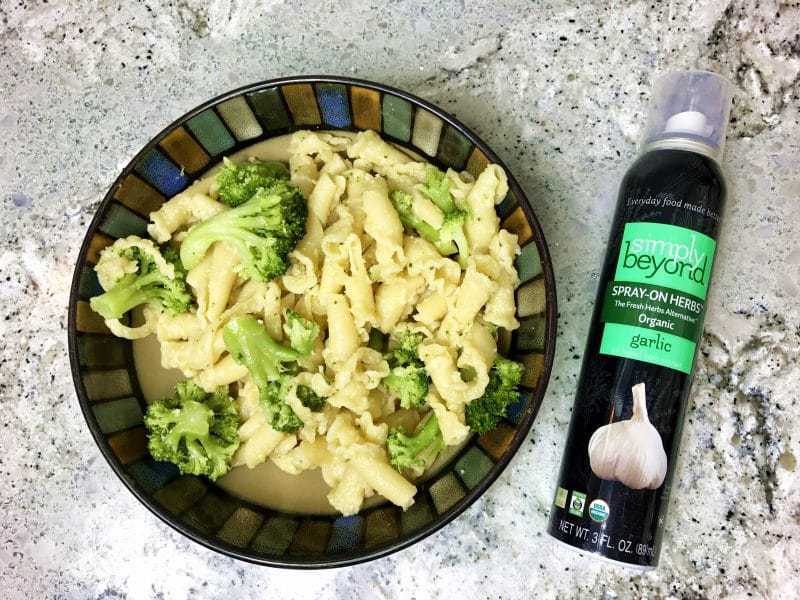 Simply Beyond Spray-on Herbs are my go-to for fresh herb flavors. Made with pure essential herb oil and just a bit of organic, non-GMO canola oil (as a base), shelf stable Spray-on Herbs pack a powerful punch of flavor. You can use them when cooking or to add flavor to already prepared foods. You will find that these organic herbs are perfect for everything from french fries to seafood. When it comes to quick, easy, and healthy shortcuts, you can't beat frozen veggies. Veggies are frozen at their peak ripeness when their nutrient levels are at their highest. Make getting your greens in easy and pack your freezer with frozen broccoli, brussel sprouts, and spinach. Just pop them in the microwave a few minutes before dinnertime and you have yourself a healthy side dish. Or, use them in your recipes. Frozen veggies are so versatile! Taco night? 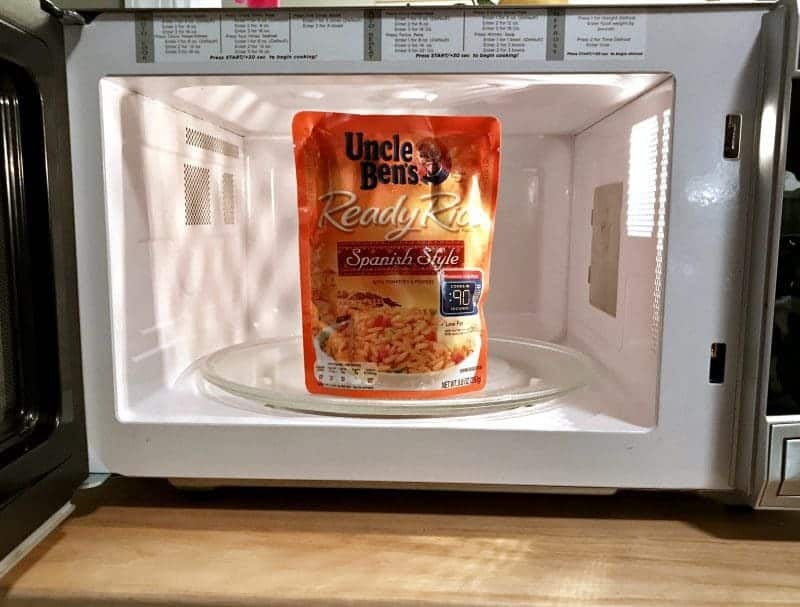 Try adding Uncle Ben's Spanish Style Ready Rice to your dish – it only takes 90 seconds. Meatloaf in the oven? Prepare a side of mashed potatoes in the microwave. Grilled cheese for the kids? Add a side of soup. Grilling up some hot dogs or hamburgers? A side of Easy Mac can be ready in a flash. Store leftovers from dinner in airtight containers such as Rubbermaid Take Alongs. They are stackable for easy storage in your fridge and lightweight which is perfect for a quick lunch on the go the following day. When you are looking for quick, yet homemade, desserts you will want to check the baking aisle for mixes. For a quick dessert just the right size for your family try Dunkin Hines Perfect Size cakes and pies. My current favorite is the Chocolate Dream Pie. With everything from the pan to the crust and the filling included in the package, preparing and cleaning up is a breeze. I hope that these tips help you save time in the kitchen. Remember, less time preparing meals means more time with your family! 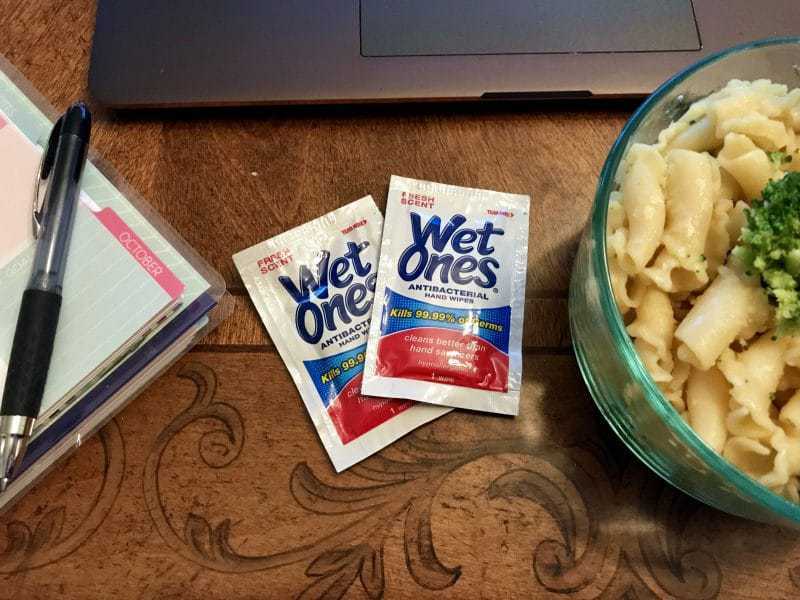 For more information on Wet Ones, visit their website here. For more information on Simply Beyond, visit their website here. Don't forget to use code “babblebox10” to save 10% on orders though 11/30/17! What are you favorite food hacks, shortcuts, or mealtime solutions? Thanks for sharing such an information.. Images are looking vey nice.. I have never seen these spray on herbs before!! What a fun box of products to try out, we love the Uncle Bens rice.